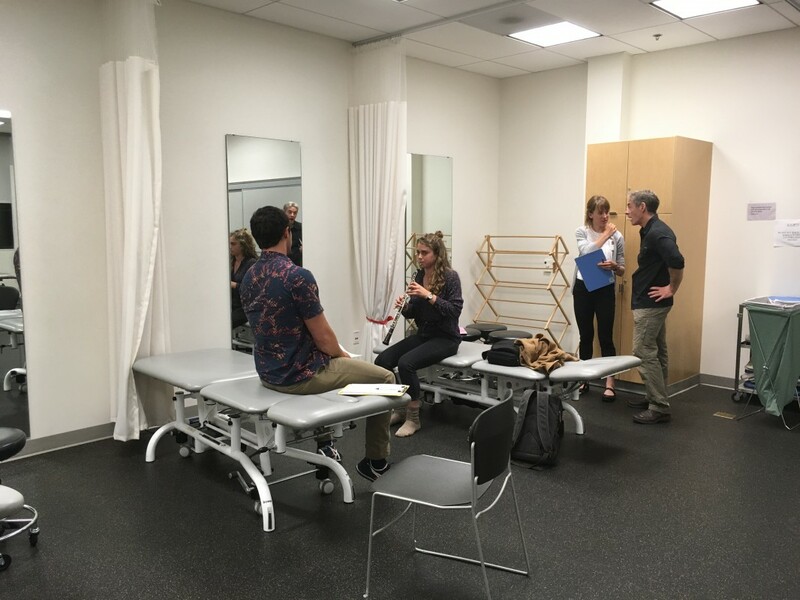 Musician Screenings at The University of Puget Sound's Onsite Clinic! Musicians and singers spend long hours practicing their craft. Many of those hours involve repetitive motions and significant strain to the body. 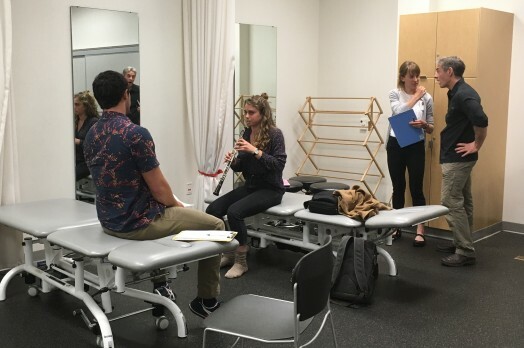 To prevent excessive strain, third-year physical therapy students met earlier this semester with students from the UPS School of Music to evaluate their risk for injury and discuss optimal posture. Future events are expected since both groups benefit from such collaboration.